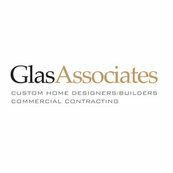 Glas Associates, Charlie Glas, in our opinion is one of the greatest and talented builders in all of Southwest Michigan. His design, attention to detail, and quality speaks volumes. Definitely goes over and beyond for his customers. We would rate Glas associates and his team above a 5 star rating, He has exceeded our expectations when he completed our beautiful custom home. We would highly recommend Glas if your looking for nothing less than a quality built home with amazing detail.